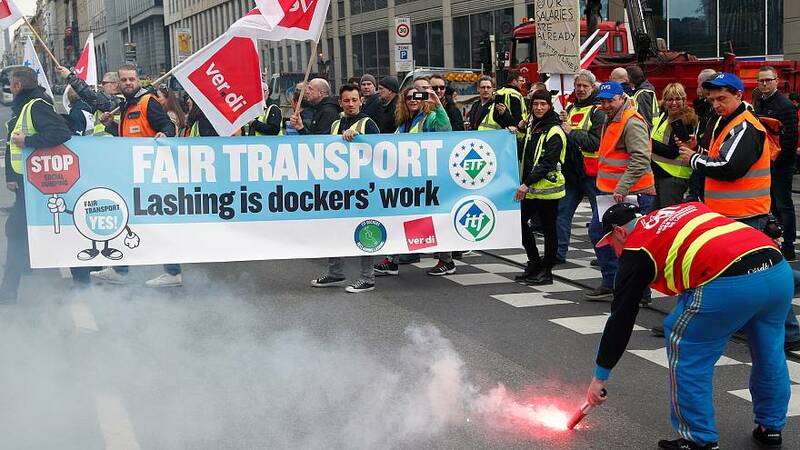 Transport workers from across Europe took to the streets of Brussels on Wednesday (March 27) to protest against social dumping. Social dumping includes paying migrant workers less than local workers, making employees work long and sometimes dangerous hours, and not providing workers with access to healthcare and social security. The demonstration, which marched from central Brussels to the European Commission, was to protest about social dumping in the transport sector.